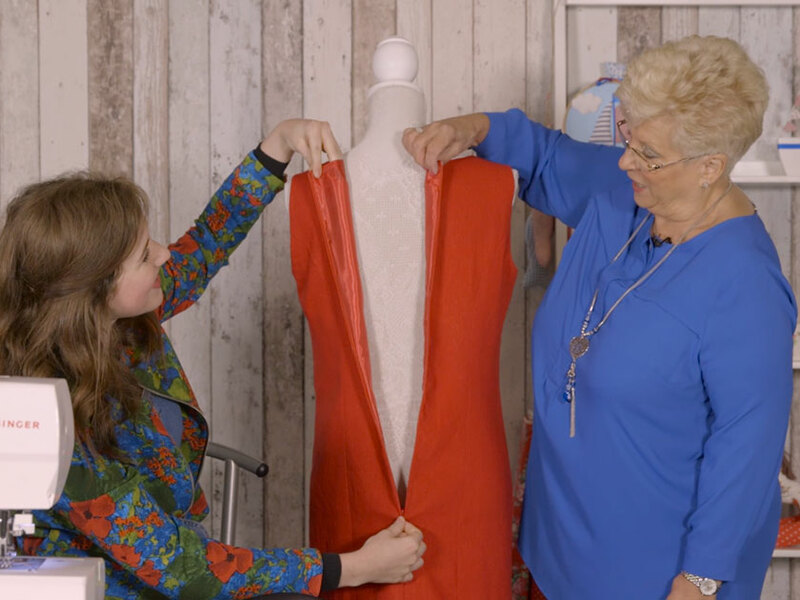 With sewing solutions and expert tips from our dressmaking expert, learning how to make a dress is so simple. 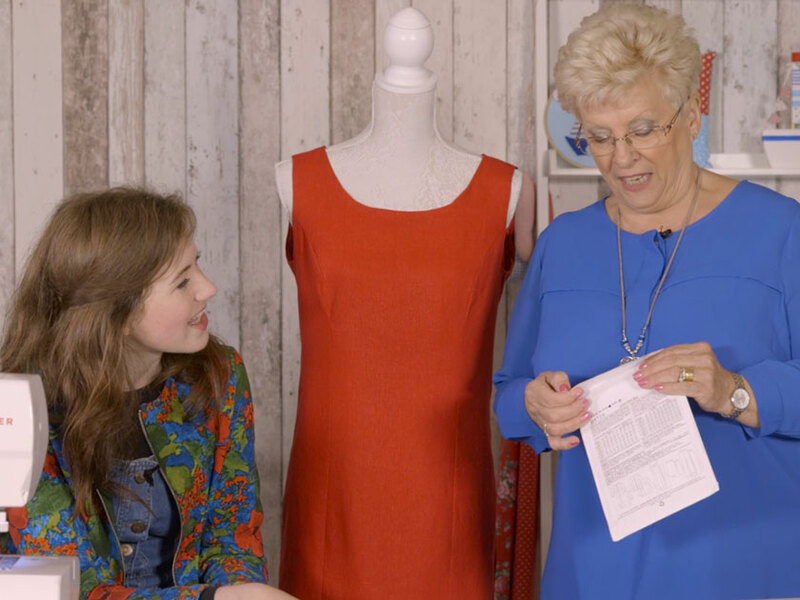 Follow our video guides every step of the way as you sew your dress alongside our dressmaking expert Thelma Judge. Start with how to read a dress pattern to work out what size pattern you’ll need and how much fabric for the dress you want to make. Dress sizes on patterns are different to those you find in the shops, so it’s important to get this stage right, otherwise you’ll end up with a garment that doesn’t fit. We’ll explain the basic pattern markings and their meanings too, so you’ll feel confident when sitting down to sew. Once you’ve unpacked your sewing envelope, you’ll need to prepare the paper pattern to cut out your fabric. 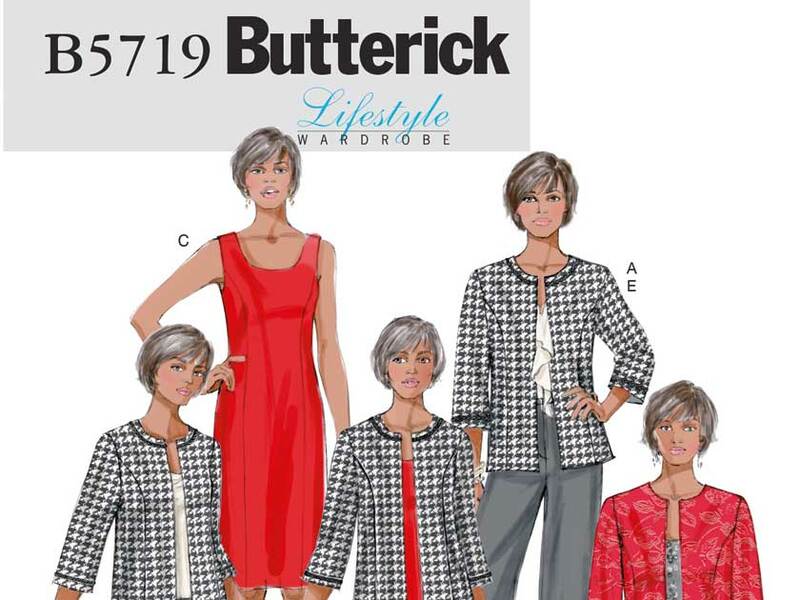 Thelma shows you her best tips for perfect pinning and cutting out so you end up with neat dress sections and faric cut on the grain. With the dress sections cut out, we teach you how to stay stitch and then sew the dress together in the simplest way possible. Learn how to sew a zip with our easy-to-follow tutorial on invisible zips. Thelma’s got a fail-proof method too, so it’s worth taking a look if you want to refresh your technique. And not forgetting how to sew a dress lining, it’s an important step to giving your garment a professional finish and will make it lovely to wear too. Now all that’s left is to learn how to hem the dress and the finishing touches will be complete. So why not start sewing your own dress, it’s simple when you know how!